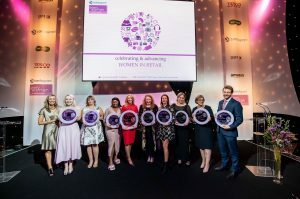 The 2019 Barclaycard everywoman in Retail Awards programme is now open, welcoming nominations from the industry’s exceptional talent. From the young, rising stars, to the long-standing leaders and pioneering entrepreneurs, individuals at all stages of their career journeys are invited to nominate themselves or others. By showcasing their success stories, they will inspire a new generation of female talent to pursue a rewarding career in this fast-evolving industry. 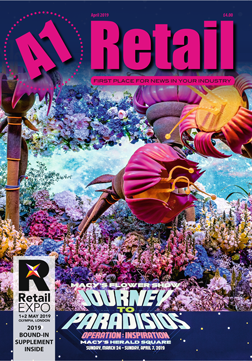 Retail is changing at an unprecedented rate making it one of the most innovative and challenging careers out there. Stores are evolving to offer more experiential customer engagement – the physical connection to products that digital alone cannot offer. Alongside this technology is changing, not only the way we pay, but is being developed to create an enriching and curatorial customer experience. With a brand-new category being introduced for 2019 – the ‘Disruptor Award’ – everywoman and Barclaycard are also searching for women making a real difference to the ever-changing face of retail, in a creative, unconventional and pioneering way. Entrepreneur Award, sponsored by Amazon – Awarded to an owner/ founder of a retail business that has been operating for 12 months or more, whose vision will inspire other women to start their own enterprise. Above & Beyond Award – Awarded to a woman at any stage of her career who has truly gone above and beyond her role to help drive the organisation’s success. Male Mentor Award, sponsored by Specsavers – Awarded to a man for his active commitment to advancing or championing the career progression of women in retail through mentorship. Rising Star Award, sponsored by Tesco – Awarded to a woman aged under 25 who is excelling in her retail career, making a valuable contribution to her organisation. Outstanding Influencer Award – Awarded to a woman whose voice or social media strategy has successfully influenced the customer both on and offline. There will be no nominations for this award – the winner will be selected in partnership with everywoman and Barclaycard. NEW Disruptor Award – Awarded to a woman who is exceptionally creative within her role, in an unconventional and pioneering way. 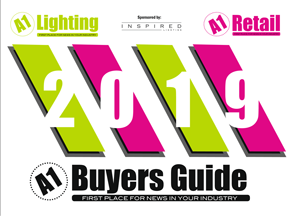 Entries are open until 29 April 2019 and winners will be announced at an awards ceremony in September.